Tranquil farmhouse hospitality on a working citrus farm in Nelspruit, Mpumalanga. We are based on a working citrus-exporting farm right alongside the N4 Highway, and only a few minutes from the Nelspruit CBD. 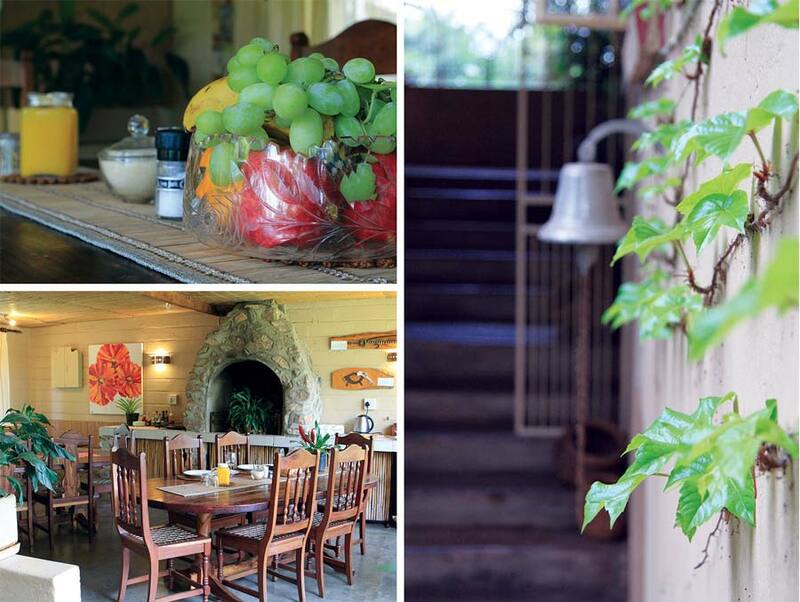 The B&B lies within the expansive, peaceful and bird-filled garden of the farm homestead. Guests are welcome to make use of the swimming pool and braai area, or to stretch their legs on a walk, run or cycle around the citrus orchards. Crocodile Nest is securely electric-fenced with a Security Service back-up and plenty of parking space for those with boat and bike trailers, etc. We provide a selection of rooms, from rondavels (traditional, round and thatched rooms), regular bedrooms through to comfortable timber sleeper cabins. All rooms have a bath/shower room ensuite, and several are equipped with tea/coffee facilities, fridge, television and microwave. Our 4 sleeper cabins are ideal for groups, the sporting fraternity and supporters, and families looking for good, clean overnight accommodation. The four cabins share a communal kitchen and lounge cabin, with a large braai facility outside in the garden. Ringbal Championships and the Innibos festival are very busy times for Nelspruit and bookings must be made well in advance. 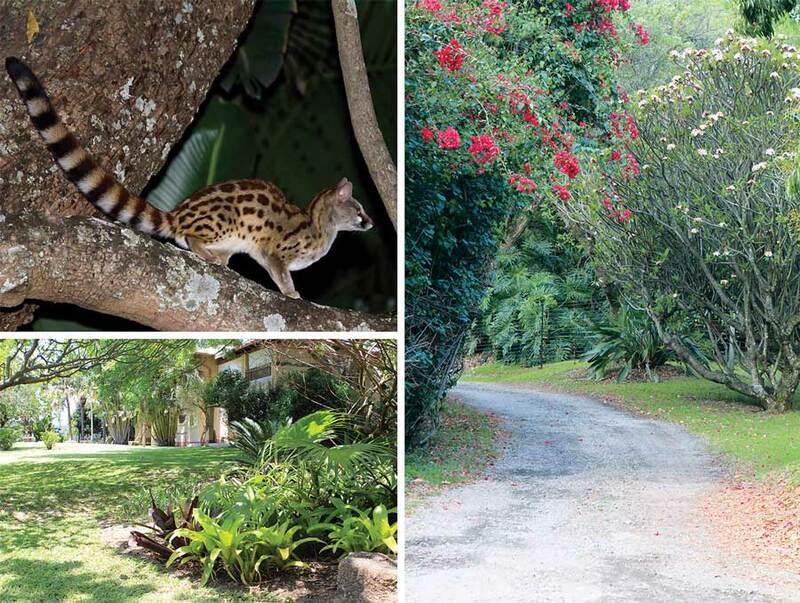 Breakfasts are served on an upstairs balcony which looks into the tree canopy and provides perfect birding moments for our guests, who have had great bird sightings. We are 10 minutes from the Mbombela Stadium and all the functions held there. We lie within easy range of the Sudwala Caves, Mankele Mountain bike circuit, the Mozambique border and its capital, Maputo. Within Nelspruit are the beautiful Botanical Gardens, excellent medical facilities, good shopping as well as many excellent restaurants. Local day tours of various options include the Kruger Park, Panorama Route with Blyde River Canyon, Maholoholo Wildlife Rehab centre and Cheetah breeding project. 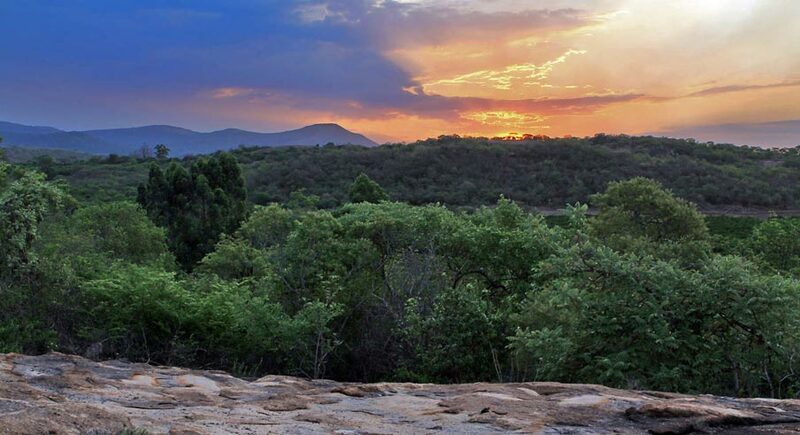 The Jane Goodall Chimpanzee Eden is located between Nelspruit and Barberton. Barberton is famous for the Barberton Daisy, the Barberton Makhonjwa Geotrail and a rich Gold Mining history. One could take a short drive to Graskop town and indulge in delicious pancakes or brave the Big Swing, or walk in the footsteps of early gold prospectors and relive the days of pioneers in Pilgrim's Rest, a historical town which was declared a national monument. Own transport is the best option, but there are touring companies who will do custom tours.